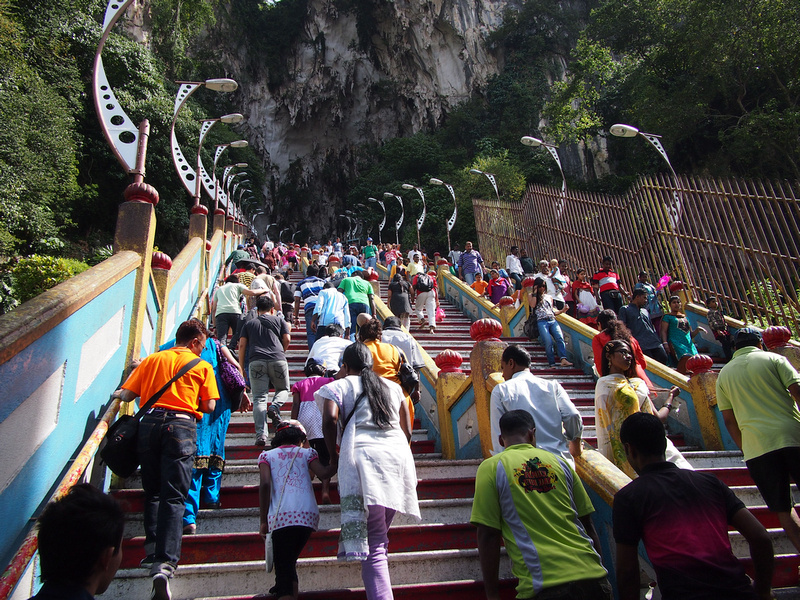 Batu Caves is 13 kilometres from Kuala Lumpur and is home to one of the most popular Hindu shrines outside India. 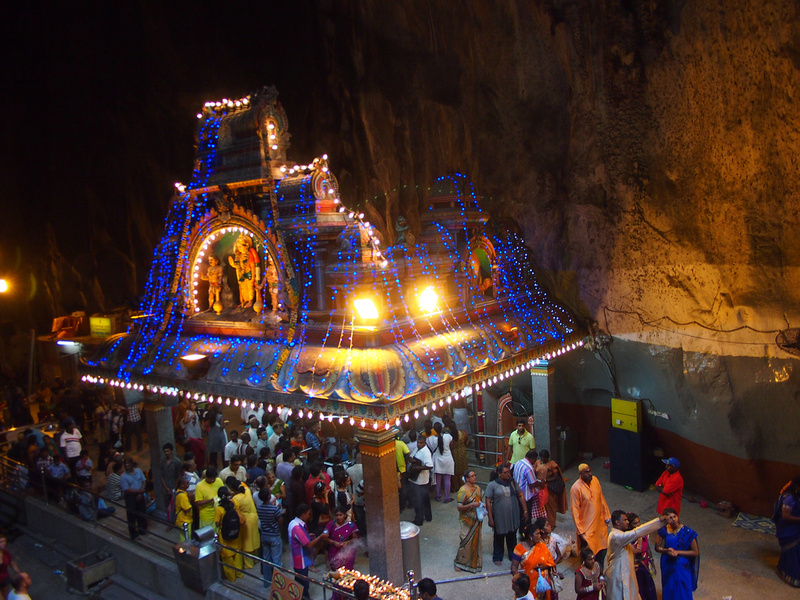 The caves and cave temples features the worlds largest Lord Murugan and is home to the Hindu festival of Thaipusam in Malaysia. 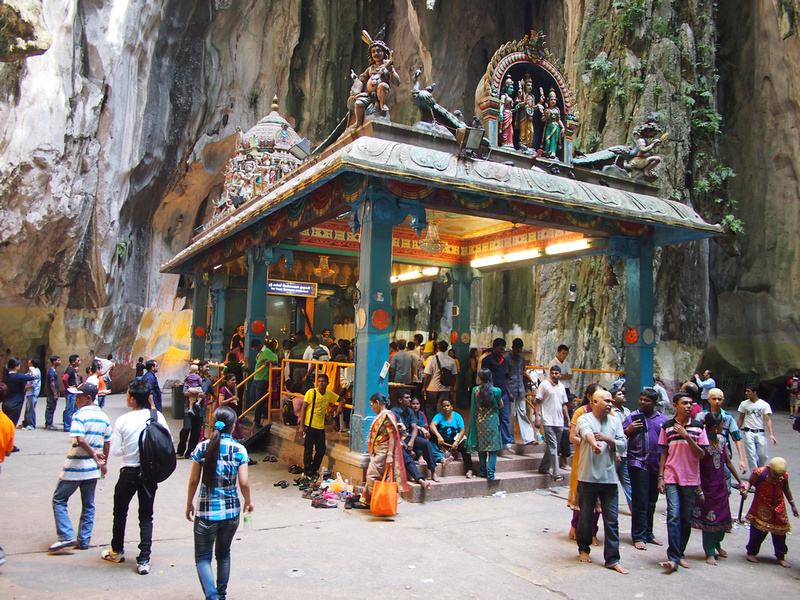 Batu Caves are easily accessable by train from KL as the station is next to the temple complex. 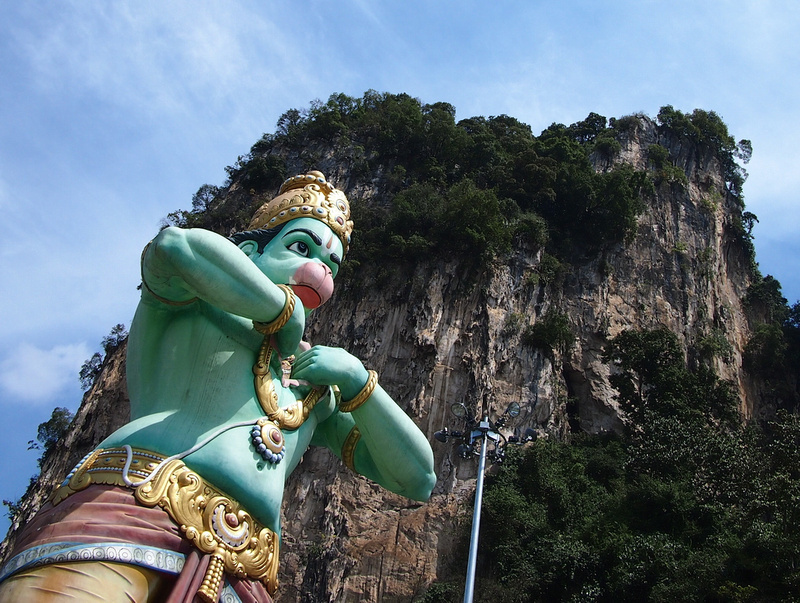 Upon arrival you will see a temple dedicated to Hanuman. 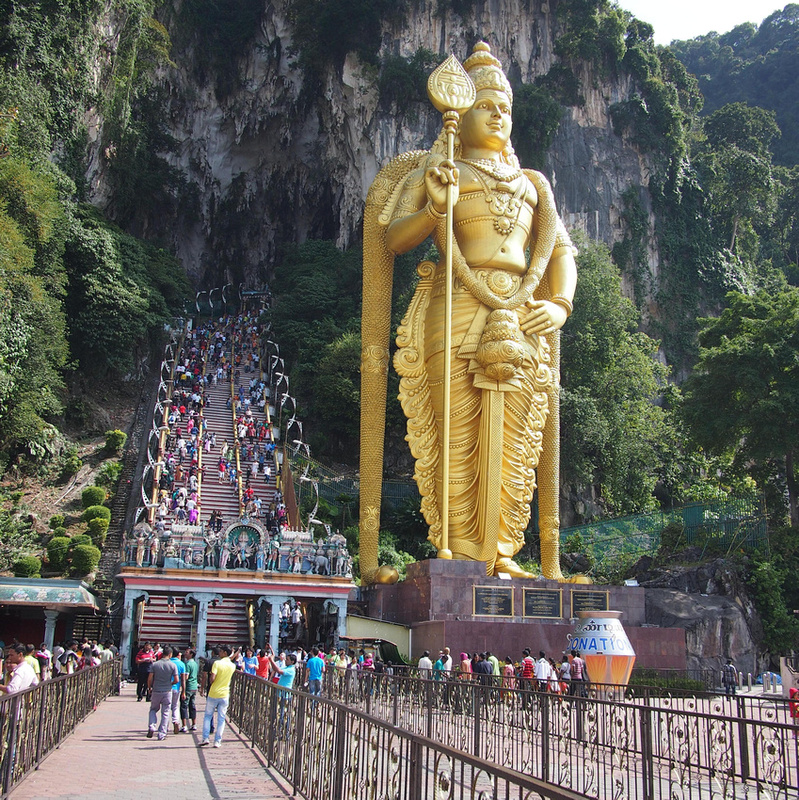 Once inside the temple you will see the main attraction – the giant golden Murugan statue. Now here is where a bit of effort is required to climb the 272 concrete steps. Inside the caves are a several Hindu shrines. 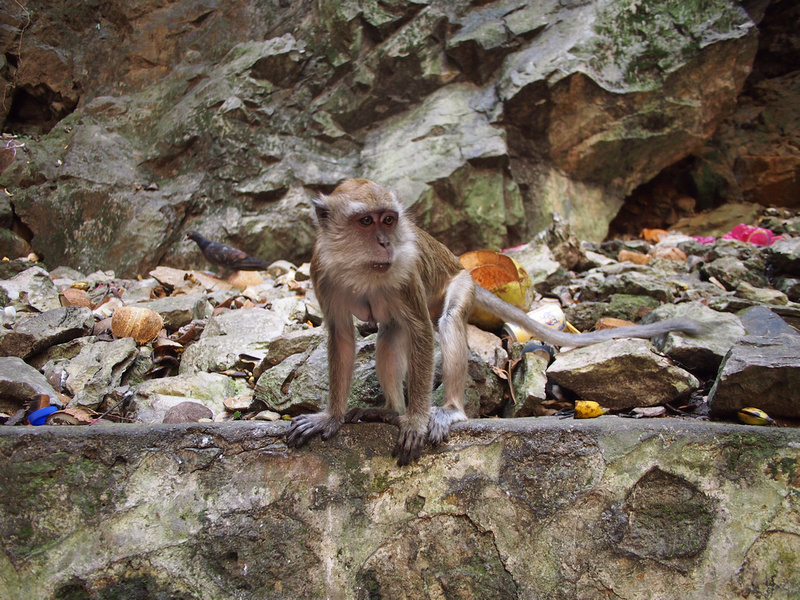 And if you didn’t already meet them on the way up, you will soon find a colony of monkeys of the crab-eating macaque variety. Unfortunately they seem to live on a diet of anything that is thrown at them and they are not afraid of humans, so hold on to your purse! Really gorgeous photos I feel like I’m actually there!